In terms of what you hope to gain from practicing dental care, your main goal is enjoying a smile that’s healthy and that stays healthy for life! Unfortunately, even though you may become dedicated to your oral health and you’re on track with frequency and other details, you may still be unintentionally harming your smile. What might the problem be, you wonder? Though seeing you at our Austin, TX practice for a checkup is the best way to offer you an accurate answer and help, we are happy to share common concerns that you may need to fix! If you’re practicing dental hygiene every day, the way that we have instructed you to perform it, then good job! However, if you’re trying to go beyond this part of your dental care all on your own (as in, you’re not just brushing and flossing but you’re trying to perform other treatments), then you’re putting your smile in danger! Remember, cleanings, checkups, restorative care, and cosmetic care should be performed by our team only! As mentioned, if you’re trying to perform your own treatments, you are headed for possible disaster! This even includes DIY (do it yourself) treatments that may be full of completely natural ingredients. Just because it doesn’t contain chemicals, because it’s easy, because you can purchase it at the drugstore, or otherwise, doesn’t make it safe. When you need dental care, come in! It’s important you take a close look at the products you select for your home dental care to be sure they’re gentle. This means using only toothbrushes that have soft bristles, only toothpaste that’s free of all possible abrasive additives, etc. If you’re unsure or have questions, remember that we are always more than happy to help. We remind you that even if you’re only practicing dental hygiene and you’re using the right products, things can go wrong with your dental care if you’re too hard on your smile. Be gentle always with delicate brushing and easy flossing. Need a review? Just ask and we will be pleased to walk you through the details of your home care, even providing you with a quick demonstration as a refresher! When you have the best of intentions but you’re missing the mark a bit with products or your approach, remember that all you require is a quick review with our team! Consider our advice during checkups for improvement. Schedule a visit with your dentist in Austin, TX by contacting Austin General Dentistry today at 512-346-5540. Smile Whitening: Dangerous Or Perfectly Safe? 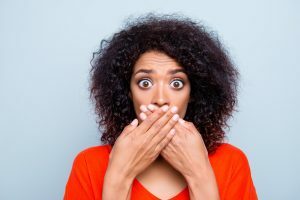 Avoiding Broken Teeth: Simple Suggestions! 3 S-Drinks: Myths, Truths, And Your Smile! Ways Your Toothbrush Tells You: Replace Me! © 2019 Austin General Dentistry.